Obtaining a sample involves selecting some elements from the target population. In order to do this, it is assumed that it is possible to identify the target population of interest. A sampling frame is simply a list that identifies the target population. It can be a list of names and telephone numbers, as in telephone surveys, an area map of housing or a list of addresses purchased from a mailing-list supplier. It could also be a database. The frame defines the sampling unit, the unit used in the design of the sample. The frame, and therefore the sampling unit, may take the form of households, students, retail stores of a particular defined type (nature and size, for instance), businesses or transactions. No sampling frame is perfect. For example, the listing in a telephone book omits unlisted numbers and is outdated on the day of publication because of moves in and out of the area it covers (for implications, see McKenzie).2 Good research planning requires knowledge of the shortcomings of the sampling frame in order to make adjustments in the sampling design. The sampling frame or list that is used defines what may be termed the operational or working population. The difference between the operational population and the target population is usually referred to as the sampling gap. This gap appears in most marketing research studies and efforts should be applied to try to minimise the gap since its presence increases the potential for misleading results. This can sometimes be done by combining two or more lists, taking care to remove one set of the names that appear on both lists. Sometimes no sampling frame is available. As a rather extreme example, suppose that for some reason it is desirable to conduct a study of those who are overweight. No such list exists. But it is possible to use screening as a method of locating such people. A general frame of individuals can be used, and filter questions (with standards of overweight set up in advance) can be used, asking age, height and weight to determine those who qualify. One frame that might be used is the telephone directory. The typical approach is to randomly select a number from the alphabetical list - say 578343 - and then to add a predetermined number, say +3, to this. The number actually used in the frame then becomes 578346. The logic seems reasonable - but the list should include unlisted as well as listed numbers. Another possibility for a frame is the mailing list. 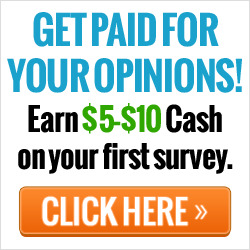 Depending on the needs for the particular study, it is possible to obtain, on the consumer side, lists as varied as camera club members, computer owners, home owners (by value of home), prime investors (by nature of interest) and magazine subscribers (for many magazines). On the business and professional side, we can find lists of small-town businesspeople, personnel executives, retailers and plumbers. An obvious sampling frame is the self-accumulated list: a list already in the hands of the marketing firm. It may include the names and addresses of those who have made purchases, have had deliveries made, used credit cards or registered at trade shows. Think Mailing Lists Are Obsolete? THINK AGAIN. Without A Mailing List You're An Online Disaster! They Will Never Get That Credit Card Out to Buy. Don't waste time with trendy theories about the new SEO and Web 2.0. Get back to basics and create your own double opt-in mailing list and do it in less than one month. 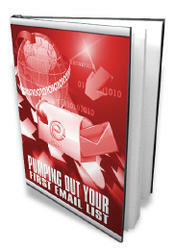 Increase Conversions, Sales and Affiliate Income Using Tried and True Email Marketing Methods. 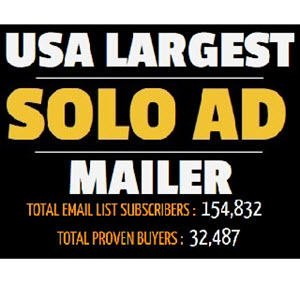 BUILD AN EMAIL LIST THAT IS 2500 MEMBERS STRONG IN LESS THAN THIRTY DAYS.